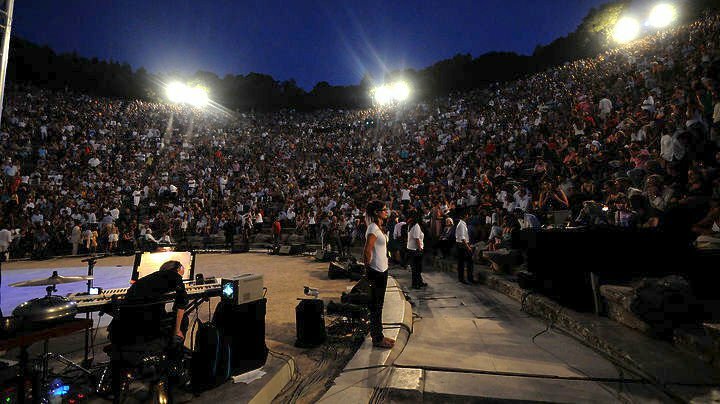 Greece’s National Theatre will again offer special discount packages for two summer productions put on at the ancient theatre of Epidaurus in 2017, continuing a pilot scheme started two years earlier. The offers are for productions of “Peace” by Aristophanes, a musical set to compositions by Nikos Kypourgos on July 21-22, and the Euripides drama “Alcestis” on July 28-29. In an announcement on Monday, the National Theatre said that it will offer 1,000 tickets each day at the prices of 16 euros in the upper section and 500 tickets each day at 26 euros in the lower section, while the price will include transportation by coach to and from the theatre. Riding in the coaches with the audience will be theatre experts, who will talk about the playwrights, their era, the plays and the performances.